…to name a few. I guess not that he’s not getting his 1.8 million an episode from Two and a Half Men, he needs some extra cash? 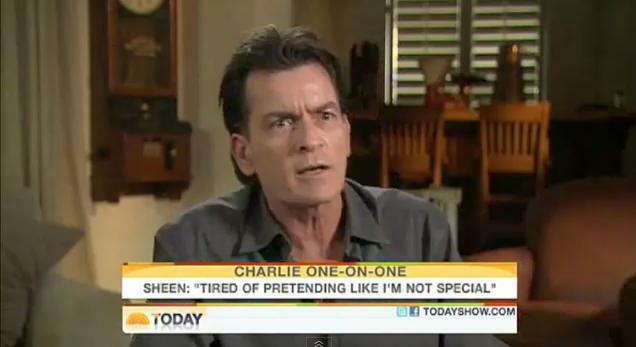 Until researching Sheen’s mission to trademark his phrases, I was unaware of how many other people, show, etc. have trademarked some pretty obvious statements. Donald Trump trademarked “you’re fired.” Paris Hilton, “that’s hot.” Emeril Lagasse, “bam!” It seems strange that by simply repeating a phrase publically, there is a basis for ownership. 1. When I see a color, I do not associate it with a corporation, nor do I think it’s “off-limits.” And when did colors ever prove to have secondary meaning? This made me wonder, should trademark have a “novel and nonobvious” clause as well? If even patent provisions have become relatively lax on their nonobvious clause, what’s next for trademark law? While this seems to make much more sense, upon further consideration, I realized that it’s unlikely to actually work when put into practice. Trademark covers such a vast area of material that requiring novelty and nonobviousness would not serve the same purpose as patent law does (although trademarking colors still seems kind of abusive). From a governmental point of view, laws like this serve to protect the consumer from confusion in the market and buying inferior products by mistake. Yet, some individuals argue that trademark owners should lose their right to sue infringers entirely, on the basis that consumers know what they are getting themselves into when they are buying a fraudulent product. This school of thought assumes a certain degree of intelligence among consumers, stating that they would be able to distinguish between the real and the fake. But, I have doubts. 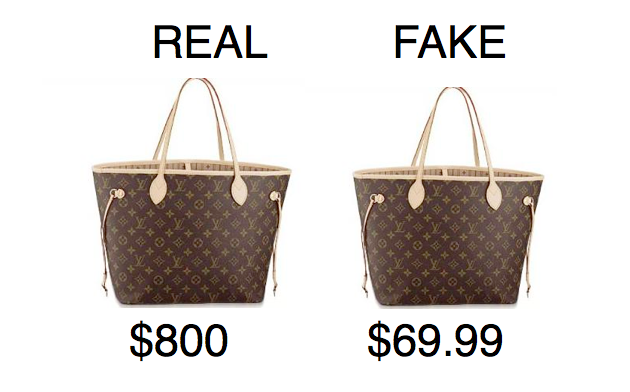 I’ve found that most vendors of “knock-off” products are seeking to make a profit (just as the legitimate companies are) by scaling up the price of knock-off products to not much less than retail of an authentic one. I know I have difficulty distinguishing real items from fake ones, so what’s stopping replica sellers from charging the same price as the authentic? Determining the nonobviousness is probably entirely too subjective to judge for trademarks. Even things that seem obvious – Apple for instance – are not necessarily obvious to its field. Apple is not obvious for computers, nor is Blackberry obvious for cellphones. Examining novelty is another obstacle. For example, take the Nike checkmark, or “swoosh.” That is not novel in a sense, but it’s become commonly associated with Nike. The tension here is that even with something as simple as a checkmark, a company is forced to obtain a trademark to prevent millions of others from ripping off their design, which would result in enormous losses in revenues for the original company. People are certainly doing it now (watches, handbags, etc. ), albeit illegally, but unless that mark was viably available, they could do it with impunity. In cases such as these, I definitely see the benefits of trademark. Although recent trends of trademarking common phrases and even color are certainly pushing it, instituting a clause requiring novelty and nonobviousness, like that of patent law, appears to be too complicated and unjustified.